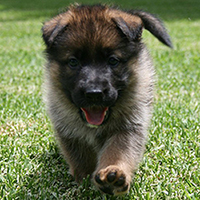 Welcome to the website for Vladimir German Shepherds. We are nestled in the beautiful countryside that is the Southern Highlands of NSW, Australia. 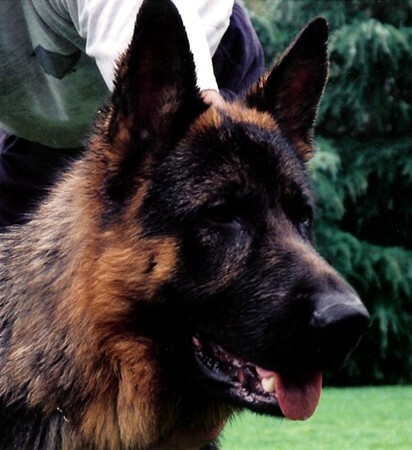 We are an incredibly selective, boutique breeder with over 25 years of experience of raising quality German Shepherds. Our dogs are part of our family and our puppies make wonderful family members and are from generations of sound temperament and strong bodied lines. From time to time we have puppies available. Check out our available page to see if your new family member is on its way. Our selective and carefully planned litters combining our renowned champion mother line are raised in our loving home environment. JJ wins another BEST IN SHOW! Thank you to judges Ms J Docksey (NSW) and Mrs J Gotch (NSW) - this adds to her extensive wins under working dog and breed specialists for 2017!! JJ wins another BEST IN SHOW! This time under breed Specialist Ms S Bruno - in doing so Kurt and JJ pick up the Breeder/Owner/Handler Leonie Darling memorial trophy for the second time in as many years! Vladimir dominate taking out the best + second best female in show! Gia wins another Best In Show!